Part way through last year, my relationship with Instagram lost it's spark. After posting almost daily for several years, Instagram fatigue started to set in. I kept posting but I didn't have the same energy for it as before. It wasn't an altogether bad thing. I overhauled my website and poured my heart into creating online classes. In fact, many wonderful things happened. The problem was, when I wanted to rekindle my relationship with Instagram, it almost felt like the platform didn't love me back. My Instagram growth had come to a standstill. While I wanted to blame Instagram, the truth was, I was behind with the times. Instagram had moved on and I hadn't kept up. Not one to give up, while I was on holidays last week (and not meant to be working) I attempted to woo the platform back. And while it is early days I am already seeing a change. Want to know what I am focusing on? 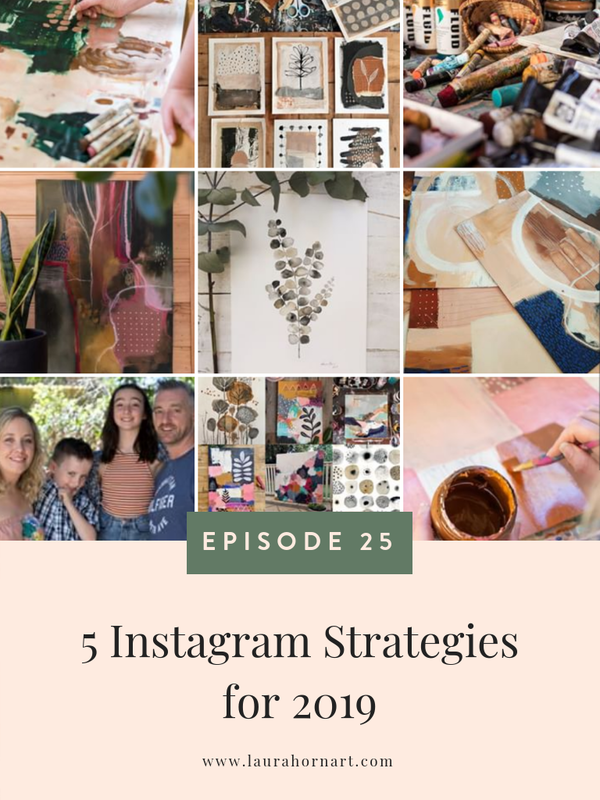 Join me this week as I share the 5 strategies I am using to grow my Instagram account in 2019. You can also read the strategies here and find links to the resources mentioned.